Catherine is a board certified internal medicine physician at the South Bend Clinic. She graduated from the University of Osteopathic Medicine and Health Sciences in Des Moines, Iowa in 1997. After completing her residency at Mount Clemens General Hospital in Mount Clemens, Michigan she began practicing in rural Iowa. For the past 15 years she was living and working in Southwest Iowa, and for many of those years, she ran her own solo practice. Catherine says she can’t remember a time that she didn’t want to be a doctor and she loves internal medicine because it enables her to be a detective of sorts! Having grown up in a small town and practicing medicine in one, she values the relationships she develops with her patients. Sharing her knowledge with them and helping them achieve the best outcome possible has always been very important to her. 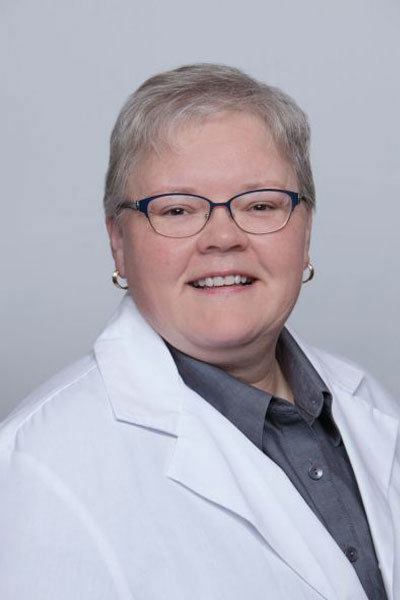 She is a member of the American Osteopathic Association and has also achieved the designation of Fellow through the American College of Osteopathic Internists. She’s looking forward to spending more time with family, exploring the area, and knows it won’t be long before she will be doing a home improvement project or two. Catharine will be practicing downtown on the Eddy Street Campus.